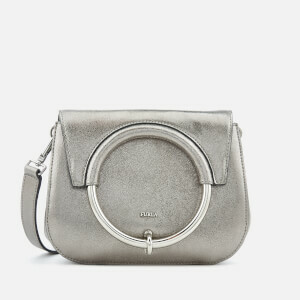 Women’s ‘Margherita’ cross body bag from Italian leather experts, Furla. 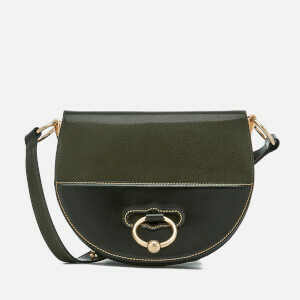 Crafted with textured metallic leather, the black shoulder bag is secured with an oversized ring fastening and a further flap and magnetic closure within. The lined interior is split into two main compartments and one slip pocket, with a further slip pocket to the rear of the structure. 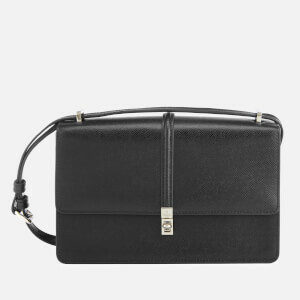 The adjustable shoulder strap can be removed to create a clutch. Silver-tone hardware and subtle branding add the finishing touches. Dimensions: H: 18cm x W: 28cm x D: 9.5cm. Strap Drop: 27cm.